Luke Shaw came out the blocks in the 2018-19 season to get off to a dream start in the first four Premier League matches for Manchester United. The 23-year-old was praised by manager Jose Mourinho, and his show also helped him get into the English national side. The full-back did suffer a concussion whilst on international duty, during the game against Spain, which led to him missing the club’s 2-1 win over Watford on the weekend. But Mourinho went on to confirm in his post-match conference that the left-back will start the match against Young Boys in the Champions League group stage encounter on Wednesday. 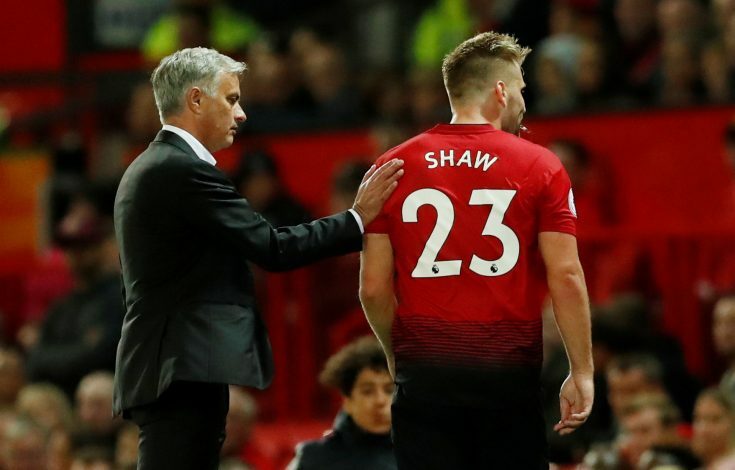 Moreover, things also look bright for Shaw as far as his contract situation is concerned, as the Portuguese manager confirmed his desire to extend the player’s time at the club. “Luke Shaw’s evolution makes us believe that he is going in the right direction – I want to keep him,” Mourinho confirmed. Earlier, according to a report in the Mirror, it was stated that Shaw wanted to book a berth in the side, and once he gets the feeling that he has a future at the club, that’s when he will be ready to extend his contract. As far as the current situation goes, the player will be motivated after listening to Jose’s comments about him, and is very likely to sign a new deal, as his current one expires in 2019. What looks positive is that there is an intent from both the manager and the player and it an extension could soon be wrapped up.